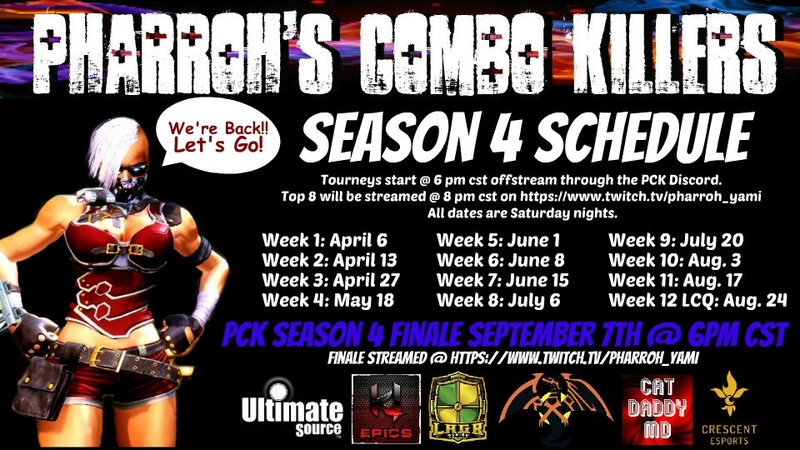 PCK Season 4 Tournament Series! It’s Time! #PCK Season 4 Week 1 Sign ups are Live! We have opened it up to 64 players this year so don’t be afraid to sign up & come join us. We are only doing Top 8 on stream. All offstream communication will take place in the PCK discord. All players will be seeded. We hope to see a good group of yall join us. 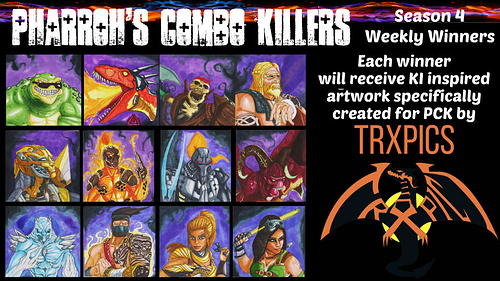 Each Weekly Winner will take home a Custom KI Drawing made by TRXPICS! These really came out so good! Sign up now! 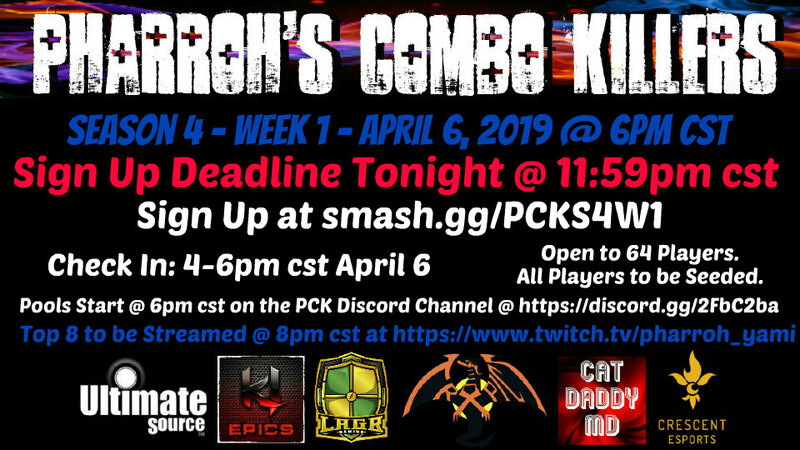 Sign ups close Friday April 5th 11:59 pm cst! Don’t be late! 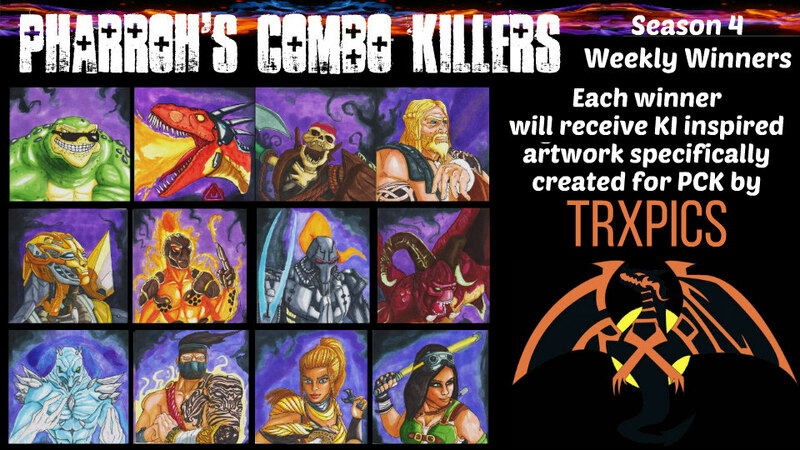 Come fight your way to get one of these awesome pictures!!! Winner will get to pick their choice of Picture! #PCK Season 4 Week 1 sign ups CLOSE Tonight at 11:59 pm cst! Don’t be late & come sign up now! If you have any questions or concerns now is the time to reach out to us!